What causes are associated with the olive green awareness pin? Personalized Cause's signature hard enamel, olive green custom awareness ribbons (pins), measuring 1.5" (L) x 1" (W), let you wear your message on your lapel. 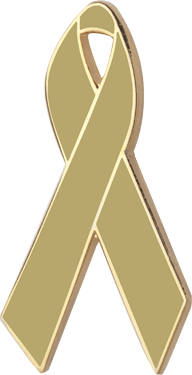 Hand polished to a brilliant luster and smoothness, the personalized awareness ribbon pins feature a thin gold outline and clutch backing. Engraving is included in the price of each ribbon pin, and you can order one pin or many in bulk. We have no minimum orders and are the only awareness pin company that lets you customize one awareness pin at a time. Our olive green awareness ribbons represent the universal symbol of support. Whether ordering your olive green custom awareness ribbons (pins) for yourself or over one hundred as fundraising and donor thank you gifts, our olive green custom awareness ribbons (pins) are the subtle yet standout way to bring support to others and call attention to your cause. Personalize Your Olive Green Custom Awareness Ribbon Pin with a Name, Date, or Message! 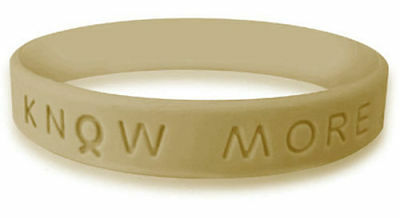 Olive green awareness products are also available in a non-customized olive green awareness ribbon and individual olive green awareness bracelet wristbands.